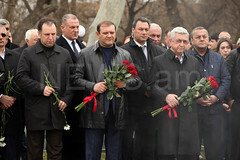 YEREVAN.- A survey showed that 34% of Armenia’s citizens are ready to vote for the Republican Party. The Gallup Organization conducted a public opinion poll from April 4 to 10 throughout the country among 1018 respondents having the right to vote . The respondents were not given the list of the parties, representative of the Gallup Organization Rasa Alisauskiene told reporters on Tuesday. 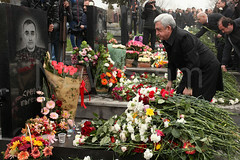 Twenty-eight percent is ready to vote for Prosperous Armenia Party. “The survey results show that Orinats Yerkir (Rule of Law) ARF Dashnaktsutyun and the Armenian National Congress (ANC) are less supported but are close to entering the parliament,” she added. Only 6.7% will vote for ANC, 4.6% - for ARFD, 4.5% - for Orinats Yerkir, and 3.5% - for Heritage. Seventy percent of respondents has positive attitude towards Prosperous Armenia., 58% - Republican Party, 27% - Heritage, 26% - Orinats Yerkir and 23% - ARFD. The survey was conducted jointly with the Armenian Sociological Association. 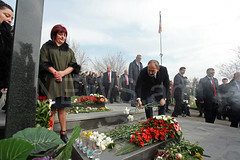 Parliamentary elections in Armenia are scheduled for May 6, 2012.